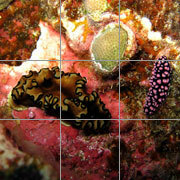 Marine snails are quite abundant in Hawaiian waters. Nearly 600 species of gastropod have been identified so far, with many more yet to be discovered. 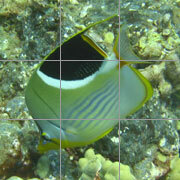 Nearly every conceivable form or type of shell can be found in the gastropod populations of Hawaii. Simple, cone-shaped shells are characteristic of the limpet family who, like the chitons, prefer the wave-battered surge zones of exposed coastlines or reef fronts. 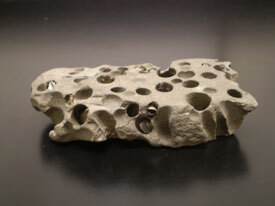 Edible species like the Black-Foot Limpet (Cellana exarata) are called "opihi" by the native Hawaiians. 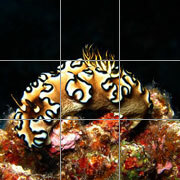 Most marine snails have spiral-shaped shells. This generalization holds true in Hawaiian waters as top shells, turban shells, nerites, periwinkles, and horn snails are all common here. The magnificent conch snails are rare, but cowries are both abundant and extremely varied. Among the most beautiful gastropods, the shell of the cowry snail has even been used as currency. 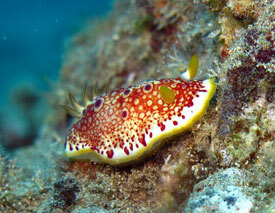 Some 35 species of cowry snails occur in Hawaiian waters. 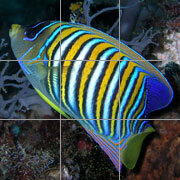 These include the Tiger Cowry (Cypraea tigris), the endemic species known as Gaskoin's Cowry (Cribrarula gaskoini), the magnificent Checkered Cowry (Luria tessellata), the Mole Cowry (Talparia talpa), the rare Maui Cowry (Pustularia mauiensis), the equally rare and strikingly beautiful Half-Swimmer Cowry (Staphylaea semiplota), and the Money Cowry (Monetaria moneta). 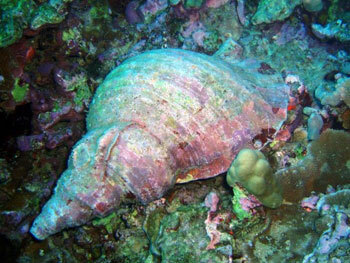 Huge triton snails like Triton's Trumpet (Charonia tritonis) lurk in the shallow waters surrounding the Hawaiian Islands, as do the large carnivorous tun snails. Other carnivorous snails like the drupe snails, miter snails, murexes, and spindle snails also make these waters their home. But the most beautiful and deadly carnivorous gastropods, the cone snails, can also be found here. 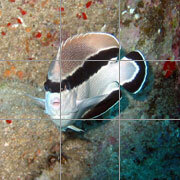 The cone snails are one of the largest families of marine gastropods and are well-represented in Hawaii. 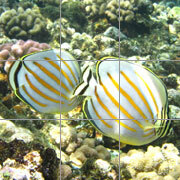 Some 34 species are found here including the Hebrew Cone (Conus ebraeus), the "tented" cone snail known as the Marble Cone (Conus marmoreus), the Leopard Cone (Conus leopardus), the dangerous Striated Cone (Conus striatus), the extremely beautiful and equally dangerous Textile Cone (Conus textile), and the only endemic species, the Abbreviated Cone (Conus abbreviatus). 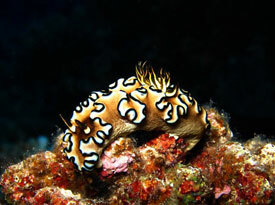 Sea slugs and their relatives have many snail-like characteristics but generally lack a shell. This diverse group of shell-less gastropods, which includes the sea hares, sea slugs, and nudibranchs, is extremely well-represented in the reef habitats of Hawaii. Some species possess sophisticated defense systems that employ strong acids or toxic poisons. 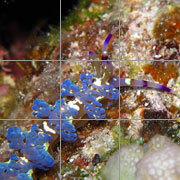 These sea slugs tend to be flamboyant and brightly colored. 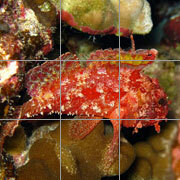 Other species are wonderfully camouflaged and quite difficult to distinguish from the sea bottom. 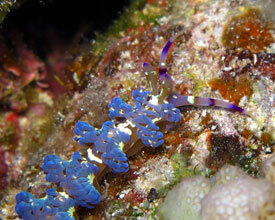 A multitude of unique and fascinating forms occur in Hawaii including the bizarre, predatory Man-of-War Nudibranch (Glaucus atlanticus), the elegant, hydroid-loving Blue Dragon Nudibranch (Pteraeolidia ianthina), and the remarkable, fish-like Eel Nudibranch (Bornelia anguilla). The strikingly beautiful Pustulose Phyllidia (Phyllidiella pustulosa) and equally gorgeous Sphinx Phyllidia (Phyllidiopsis sphingis) are also found in Hawaiian waters. This group of poisonous, sponge-eating nudibranchs, which also includes the rare black and yellow Polka-Dot Phyllidia (Phyllidia polkadotsa), has no known predators. 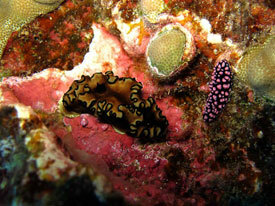 The largest Hawaiian nudibranch, the Redmargin Spanish Dancer (Hexobranchus pulchellus) and the incredible flower-like slug known as the Tuberculous Nudibranch (Dendrodoris tuberculosa) are both common in the waters surrounding the islands. The beautiful, multi-colored sea slug known as the Jolly Green Giant (Ceratosoma sinuata) and the gaily caparisoned Pauline's Nudibranch (Hypselodoris paulinae) are, on the other hand, quite rare. That is a pity for both are extraordinarily beautiful. 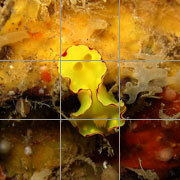 The translucent, unearthly Gold Lace Nudibranch (Halgerda terramtuentis), the large, intricately-marked Tiled Pleurobranch (Pleurobranchus grandis), and the bizarre sponge-eating Umbrella Slug (Umbraculum umbraculum) are all found in the reef habitats of Hawaii. Unlike most of the shell-less sea slugs, the Umbrella Slug produces a calcium carbonate hard part that forms on its back and resembles a hat or cap. The wonderfully camouflaged White-Speckled Sea Hare (Aplysia dactylomela) and the distinctive, cone-shaped slug known as the Eared Sea Hare (Dolabella auricularia) are also common in Hawaiian waters. 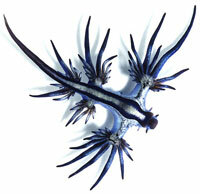 There are many more species of sea slug here. The bivalves or pelecypods are a very successful group of mollusks that has managed to exploit a number of niches and habitats in the shallow marine environment. Some species survive by burying themselves in loose sediment, others attach themselves to a substrate, a few are able to bore into solid rock, while some can actually propel themselves through the water by clapping their shells together. File shells and scallops both employ this last strategy to escape predators. 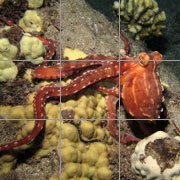 Over 120 species of pelecypods occur in the waters surrounding the Hawaiian Island chain. Of these, 66 occur nowhere else in the world. Although fairly common offshore, their shells are rarely washed up onto the beaches. A number of interesting forms can be found here including the strange, heart-shaped Ventricose Ark Shell (Arca ventricosa), the black pearl-producing Black Lipped Pearl Oyster (Pinctada margaritifera), the spectacular orange-red Fragile File Shell (Limaria fragilis), the common Hawaiian Oyster (Dendostrea sandvicensis), and the Rounded Cockle Shell (Vasticardium orbita hawaiensis), known to local Hawaiians as the "pūpū kupa". 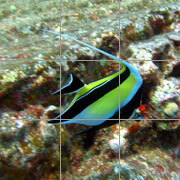 Arthropods, and especially crustaceans, are well-represented in the coral reef communities of Hawaii. 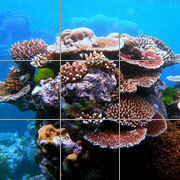 Nearly 1000 species of crustaceans inhabit the waters surrounding the islands. This highly successful group includes the barnacles, shrimps, crabs, and lobsters, plus a host of lesser known creatures like amphipods and isopods.